Almost 4,000 years ago, a woman travelled hundreds of kilometres to Egypt carrying an infant child on her back, seeking to trade or perhaps to settle there, presumably looking for a better life. 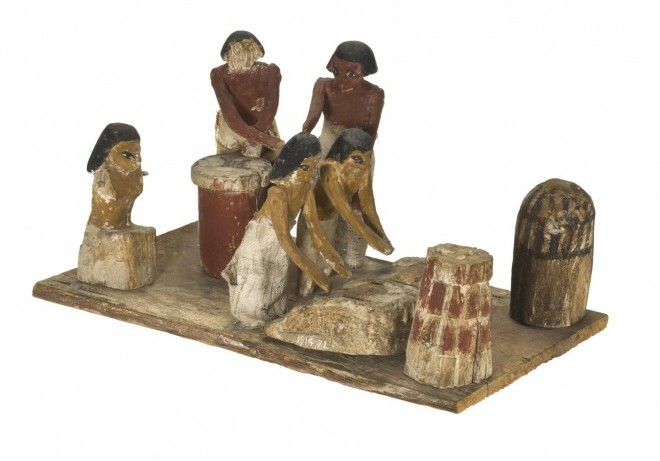 They were immortalised in an extraordinary wooden statuette, which was excavated in a tomb at Beni Hassan in Middle Egypt thousands of years later. She stands only 15 cm tall but her face is full of character. Her appearance is very different from depictions of ancient Egyptians: her skin is yellow and she wears a long red woollen cloak and boots. 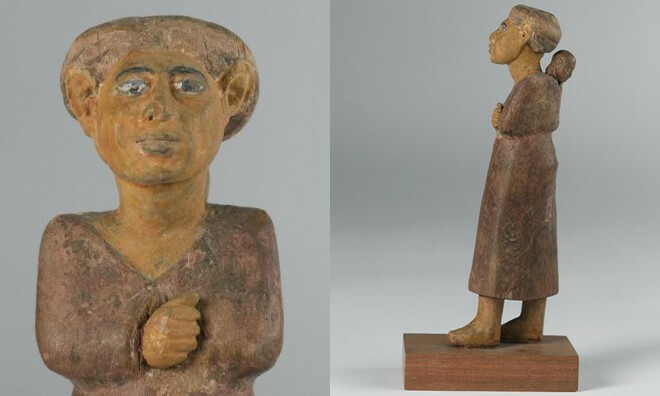 This type of small wooden statuette was usually part of a larger group of wooden figurines depicting scenes of food production and craftsmanship on the tomb owner’s estate, so they may originally have been part of a larger processional scene. The woman and child are also unusual in the level of detail in the carving, which is unlike most other wooden tomb models. The modelling of the woman’s face is deeply furrowed and highly expressive. The cultural achievements of Middle Kingdom Egypt are many, but its jewellery must surely be counted as one of the greatest: the craftsmanship of the period was never surpassed in its attention to intricate detail and technical skill. 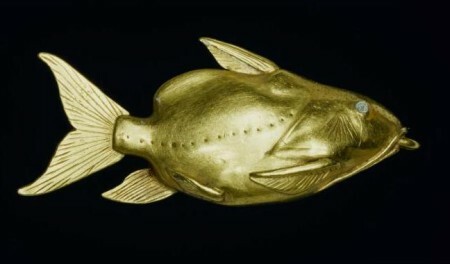 One of the finest examples, a gold pendant in the form of a catfish (A.1914.1079), resides in National Museums Scotland. 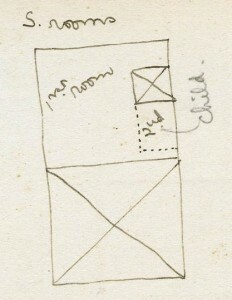 The intact burial assemblage in which it was discovered was excavated at the site of Harageh by Reginald Engelbach and Battiscombe Gunn for the British School of Archaeology in Egypt. 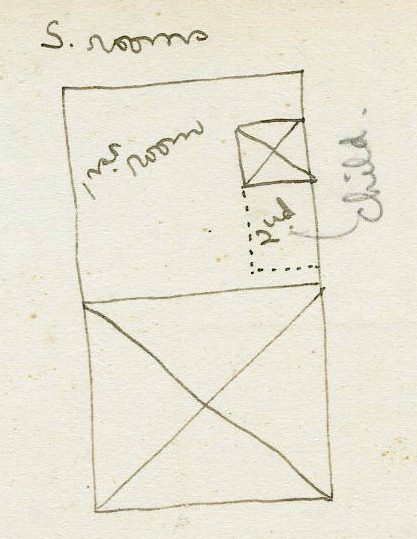 They excavated this site in one season during the winter of 1913-1914, which they published later in 1923. The most spectacular objects found in the burial were five gold catfish pendants, three larger ones and two very small ones. 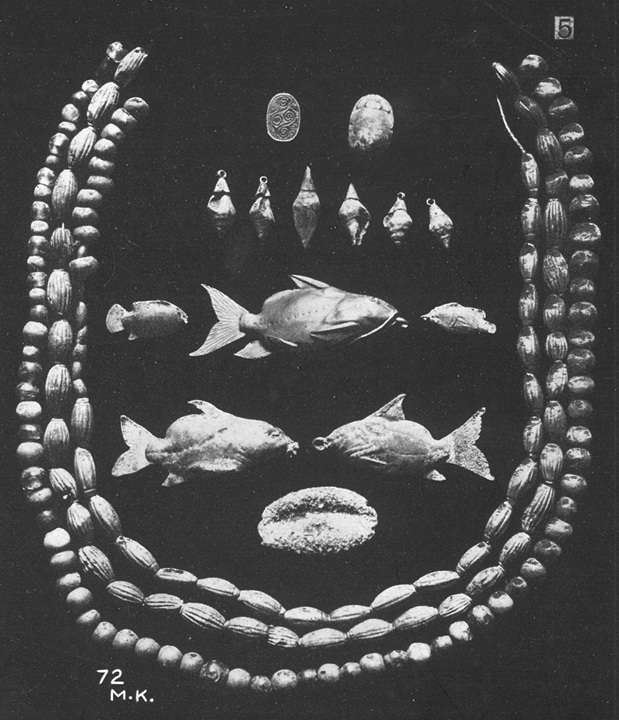 Ancient Egyptian representations, such as a cosmetic jar in the form of a girl (BM EA 2572) and a tomb relief depicting the daughter of Ukhhotep III at Meir, depict fish pendants being worn by girls at the end of plaits. 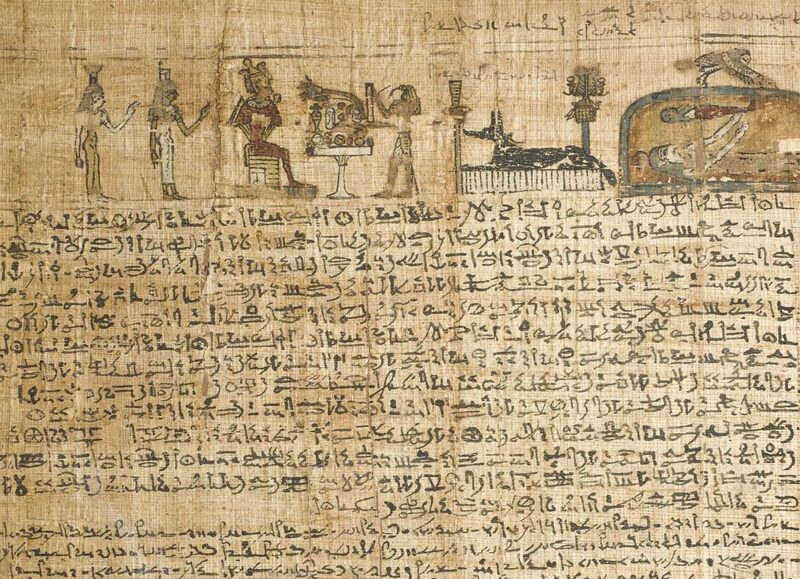 A fish pendant also serves as a central narrative device in a story about King Sneferu in Papyrus Westcar, a Middle Kingdom literary composition (P. Berlin 3033). The king is bored, so his chief lector-priest arranges a boating party rowed by young women dressed only in fishing nets; when the lead oarswoman’s fish pendant accidentally drops into the lake, she refuses to row any further until the priest uses his magic to retrieve it. Here in the UK these days, most people are preoccupied by the widespread unrest in our cities. Now I don’t write about politics, but I do research and write about social differences in ancient Egypt. I find it interesting to note that the debates we’re having today about criminality, deprivation, & social responsibility can also be found in ancient Egyptian poetry dating back to almost 4000 years ago. Despite the vast inequality in ancient Egyptian society between pharaohs and peasants, despite corporal punishment being commonplace and literacy rare, an Egyptian poet was still able to eloquently question the condemnation of criminal acts by the poor over those of the rich. The poem entitled ‘The Eloquent Peasant’ (the inspiration behind the name of my blog) tells the story of a peasant whose only possessions are stolen by a wealthy official and his subsequent articulate pleas for justice, which move even the pharaoh. but the bad [are those who] act without wantâ€”should it not be blamed? It is self seeking. You can read the rest of ‘The Eloquent Peasant’ in Richard Parkinson’s book of translations of ancient Egyptian poetry, ‘The Tale of Sinuhe’. I’ll be giving a talk on the lives of the rich and poor in ancient Egypt in the Nebamun gallery at the British Museum this Friday, August 10th. There are still fascinating discoveries being made almost constantly in Egypt, but I am particularly excited about the latest one at the site of Deir el Bersha in Middle Egypt. The completely intact tomb of Henu, dating to the late First Intermediate Period, has been found by a team from the Katholieke Universiteit Leuven in Belgium under the direction of Professor Harco Willems and Marleen De Meyer. 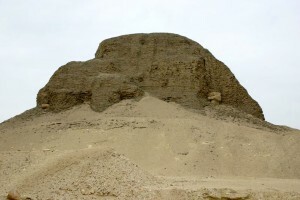 The tomb dates to over 4000 years ago from a turbulent period of Egyptian history, when the kingship failed and the state fragmented. The report posted online by the archaeological team includes some striking photos of the finds here. 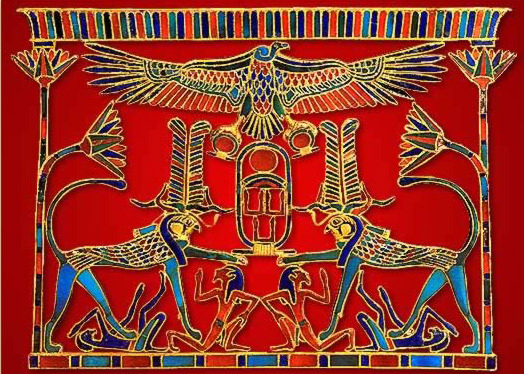 It’s especially exciting since it is relevant to my current research; it shows us something about the Egyptians themselves, as real people, not just in death but how they lived and worked. Some of the objects I’m working with are the models of daily life that were part of burials during the First Intermediate Period and the Middle Kingdom. 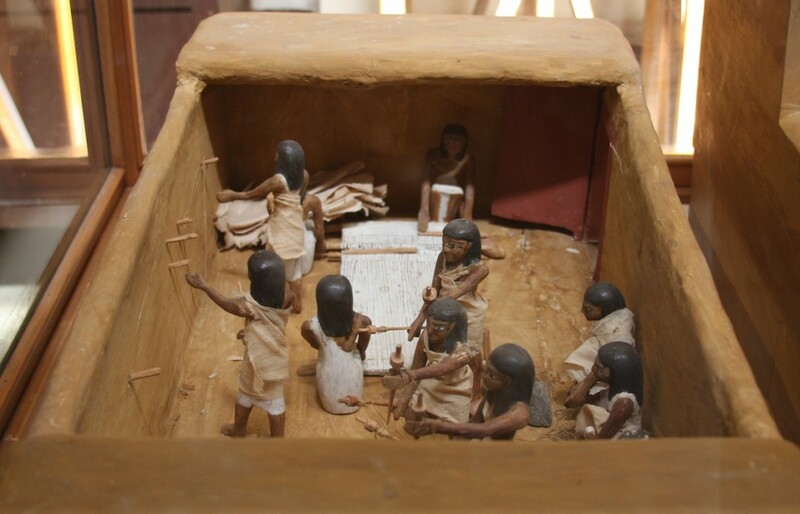 The models are wooden figurines and buildings carved and painted in wood to depict tableaux of workers, doing a variety of activities such as weaving, carpentry, sailing, food production, etc. They are so incredibly detailed that they actually can provide us with a great deal of information about ancient technologies and living practices. For example, a great deal can be gleaned from models about boat design. 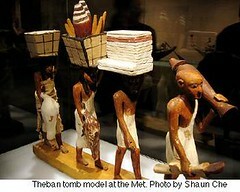 Some of the best examples are in the Metropolitan Museum from the tomb of Meketre, for example this bakery and brewery, or this model of a cattle count. The cattle count presents a fascinating microcosm of Egyptian society and its hierarchical organization; you can see the officials seated under a great canopy with their scrolls, the only literate people, while one of the peasants who has defaulted on his taxes is beaten before them as punishment. 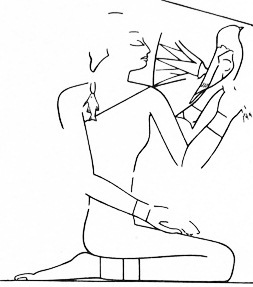 The examples from the tomb of Henu include a scene of three women grinding grain (wearing real miniature linen skirts! ), a rare depiction of mud brick production, a baking and beer brewing model, a boat with rowers, and a large statue of Henu himself. As the project report states, the models ‘are characterized by realistic touches and unusual details such as the dirty hands and feet of the brick makers’. 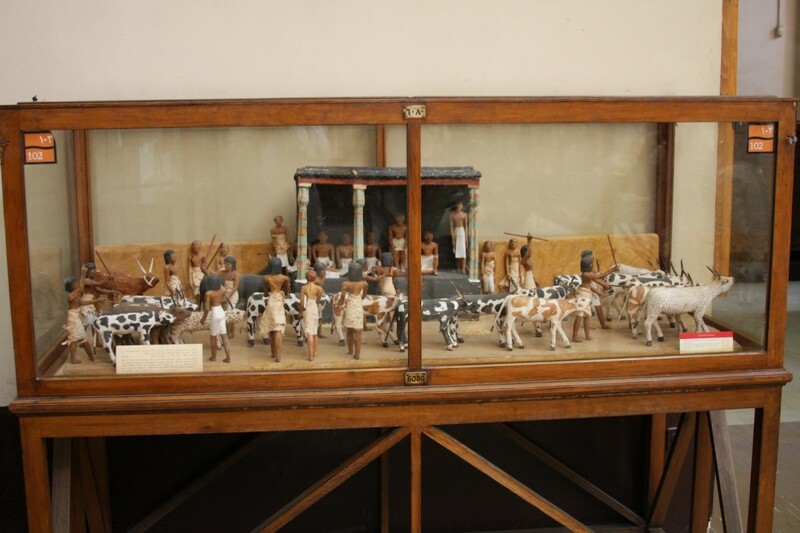 While grand temples and pyramids are always impressive, the little human touches in these simple wooden models bring us closer to the real Egyptian people themselves.